Body Perfect Raspberry Ketone 500 is an advanced, 100% safe weight loss supplement for men and women who want to slim down. Our double-strength formula is made from natural ingredients and won’t cause any side effects. Raspberry ketone can promote weight loss by increasing your body’s level of adiponectin, a hormone that helps to regulate metabolism. This action makes fat cells easier to break down, which helps the body to burn fat faster. As with all slimming aids, it’s most effective when used alongside a diet and exercise regime – you can find helpful guides right here on our website. Body Perfect Raspberry Ketone 500 is an exciting weight management formula that contains only pure raspberry ketone. In other words, we haven’t bulked it up with cheap fillers. By stimulating an increase in adiponectin, a hormone in your body, raspberry ketone can help you lose weight by making fat cells easier to break down. So, if you combine raspberry ketone with a smart diet and exercise plan, you’re sure to see even better results. But, unlike with some other weight loss supplements, you won’t experience a rapid heartbeat or dizziness from caffeine or other stimulants. Made in the UK from high quality ingredients, Body Perfect® Raspberry Ketone 500 is a double-strength raspberry ketone formulation that also provides essential antioxidants. 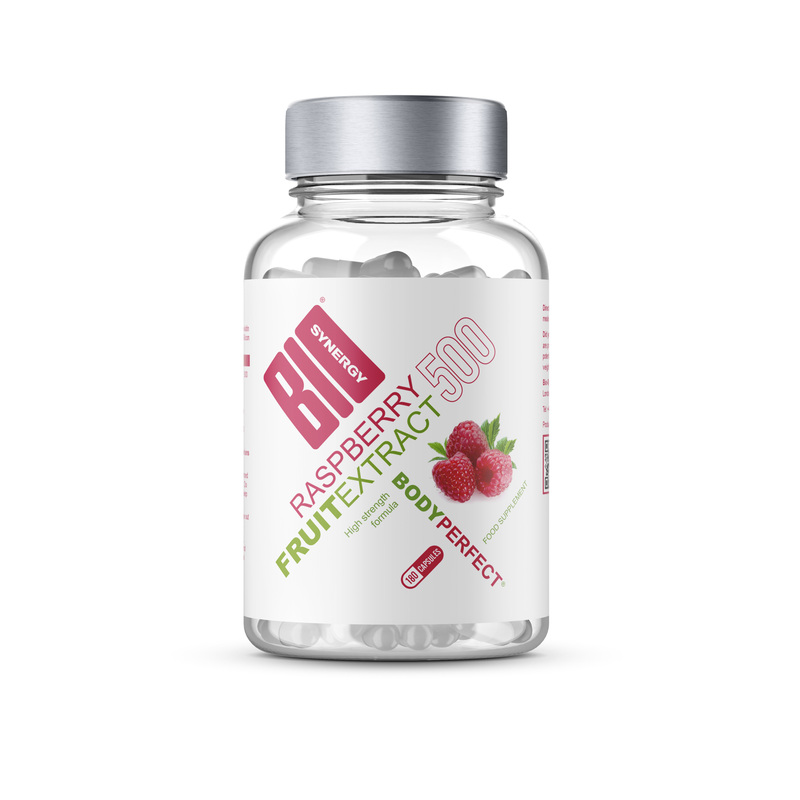 Raspberry ketone is an advanced natural phenolic compound that gives red raspberries their delicious aroma. IS BODY PERFECT® RASPBERRY KENTONE 500 RIGHT FOR YOU? If you’re looking to trim down, take in more antioxidants and maintain good health, then yes, Body Perfect® Raspberry Ketone 500 is an excellent choice. We’ve got you covered with a wide range of other weight loss products: Body Perfect®, Body Perfect® Acai Berry & Green Tea, Skinny Protein®, Activeman Thermolean®, Matcha Green Tea Powder, Skinny Water®, Vegan Lean&Green®, Thermogen and CLA. As with all our products, Body Perfect® Raspberry Ketone 500 capsules are made from only the highest quality, responsibly sourced ingredients. What’s more, the Body Perfect® range is manufactured in our own UK-based facilities by an expert team of scientists. That’s how we ensure every bottle is made to the same high standards. L-Tyrosine, Green Tea Extract, Capsule Shell (Gelatin), Citrus Auranthium Powder, Naringin, Caffeine, Alpha Lipoic Acid, Magnesium Stearate. For optimal results, take four capsules per day. Take two capsules before meals with a glass of water. Most customers report noticing results within one month. "i have been using this brand for 6 months. So far i have lost 11lbs. I know its not much but i needed to go from a size UK 12 to a UK 10. They work for me. I take just 2 a day and so far that is perfect for me. You can take 3 a day but its not needed. The price is good and you get a months supply if you take 2 a day. I will carry on buying these. Sakazoke."